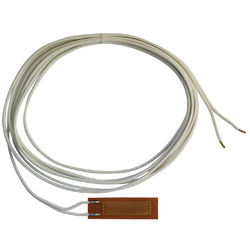 Our product range includes a wide range of jola-kur 5 moisture sensor and jola film type moisture sensor. Gas Alarm Systems in association with Gas Alarm Systems Australia (offer Jola– KUR 5film sensor for detection of moisture on a cooling ceiling and for cooling ceiling control. 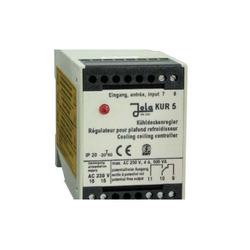 Jola – KUR 5 for connection of a FTS/KO-1 film sensor for detection of moisture on a cooling ceiling and for cooling ceiling control. Conductive relay for U-bar or surface mounting, with connection terminals on top of housing and red LED for moisture signalling. Conductive relay for U-bar or surface mounting, with connection terminals on top of housing and red LED for moisture signalling. The unit is designed for switch cabinet mounting or installation in a suitable protective housing and may therefore only be mounted/installed in these locations. It is suitable for use in clean environments only. The KUR 5 cooling ceiling controller is designed to measure the moisture between the printed conductors of a FTS/KO-1 film sensor and to switch the built-in output relay when a set sensitivity level is reached, thus permitting activation of an external solenoid valve. Alvi Automation Gas Alarm System India Offer Jola Fts/ko-1 Film Type Moisture Or Condensation Sensor / Detector. Fts / Ko-1 Film Type Moisture Or Condensation Sensor / Detector For Cooling Ceiling Controller.